An AC analysis calculates the small signal response of a circuit to any number of user defined inputs. The small signal response is computed by treating the circuit as linear about its DC operating point. Like DC, AC Noise and Transfer Function analyses, AC analysis is a swept mode and can operate in any of the 6 modes documented in Sweep Modes. With some of these modes - e.g. sweeping a resistor value - it will be necessary for the DC operating point to be recalculated at each point while with others - such as frequency sweep - it is only necessary to calculate it at the start of the run. For AC analysis to be meaningful at there must be at least one voltage or current source on the circuit with an AC specification. To find out how to set one up see AC Source. Select AC check box on the right. Select AC tab at the top. Enter parameters as described in the following sections. Defines sweep range. The number of points of the sweep is defined per decade for a decade sweep. For a linear sweep you must enter the total number of points. Check the Save all currents check box to enable the output of all current data including semiconductor devices. If this box is not checked the current into devices such as transistors and diodes will not be saved. In AC analysis the CPU time required to output data can be very significant relative to the solution time, so you should be aware that checking this box may slow down the simulation significantly. Note that this check box only affects AC analyses. Both the examples shown in Sweep Modes are AC analyses. 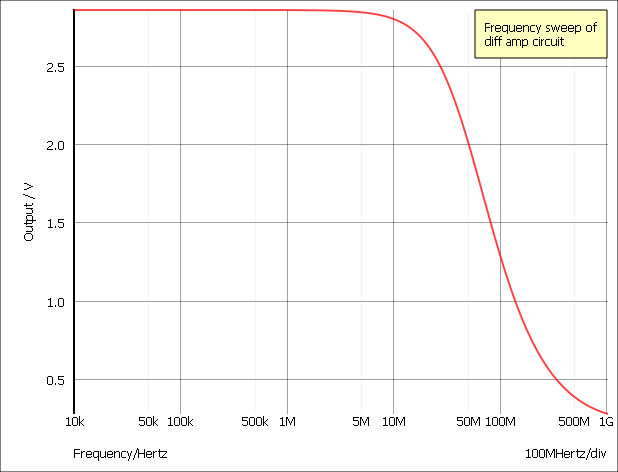 The following is a frequency sweep which is the traditional AC analysis mode. 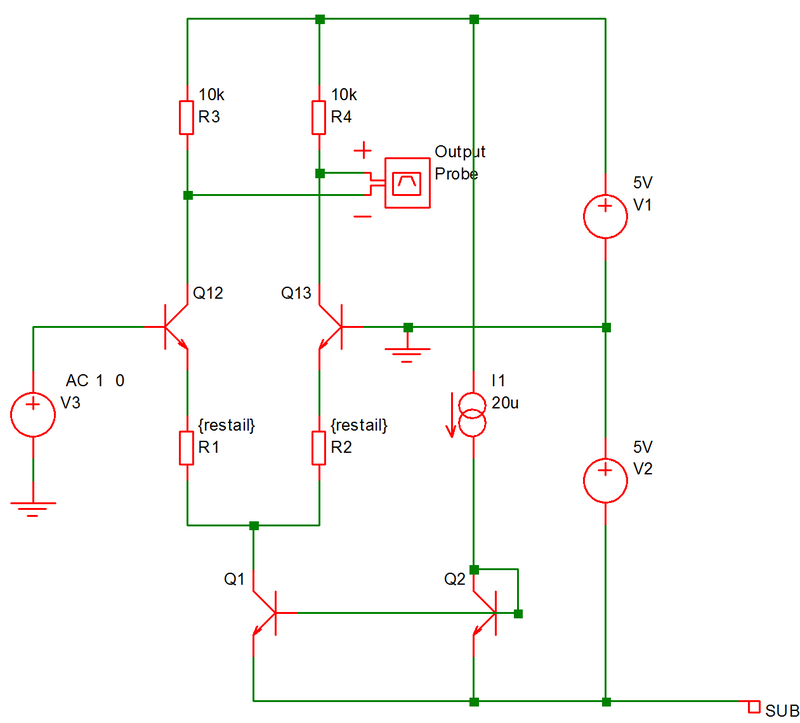 This was performed on the circuit shown below with restail = 1k.